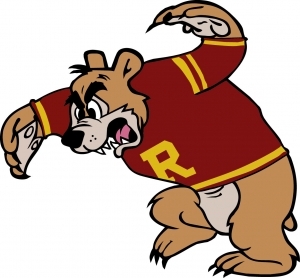 I suppose they get some points for creativity, but aren’t high school mascots supposed to be fierce, fearsome, and intimidating? With every level from professional to elementary school, there are countless different mascots, ranging from animals to warriors to colors and everything in between. Minnesota has some doozies, and in our opinion, these top 5 mascots are sure to NOT strike fear into their opponents’ hearts. 5. Minneapolis Roosevelt “Teddies” – Yeah, yeah- I get it. Teddies as in Roosevelt, as in the badass President embodied on Mt. Rushmore who took a bullet during a speech and decided to finish his speech first before getting medical treatment. No shame in giving him some props. But a play-on-words translates to a teddy bear for a mascot. 4. 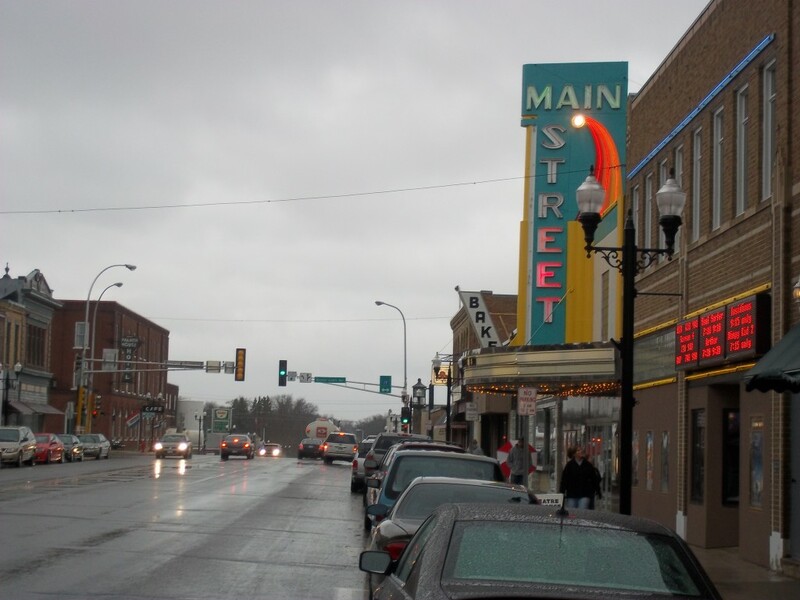 Sauk Centre “Mainstreeters” – Famed American author Sinclair Lewis, hailing from Sauk Centre, MN, earned praise and scorn for his novel Main Street, a thinly-veiled depiction of life in small-town Minnesota. In turn, the town has dubbed their high school teams the “Mainstreeters.” Awkward. 3. Grand Meadow “Superlarks” – Not just the “Larks,” (those harmless, tiny birds no bigger than a chickadee), but “Superlarks.” The mascot in question bears resemblance to an eagle on steroids, making you wonder why maybe they just didn’t go with eagles in the first place. 2. Blooming Prairie “Awesome Blossoms” – The mascot is a flower. With a rhyming adjective in front of it. I suppose it relates to the name of the town, but even as the artist who came up the above logo probably realized, it’s difficult to make a flower look tough. Honorable Mentions: Winona Winhawks, Esko Eskomos, Edgarton Flying Dutchmen. No mention of the Aitkin Gobblers whose very mention strikes fear into the heart of all mortals? They were definitely on the shortlist! 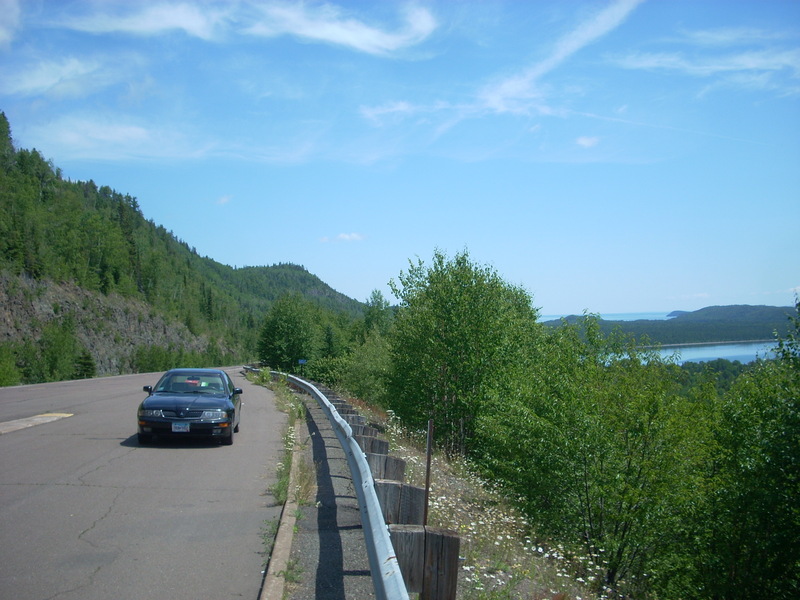 The Osakis Silverstreaks… Or just Streaks for short. Because nothing is more intimidating than a naked person running through the gym. Or running mascara after a good crying jag. Or the incidental marks left in your underwear after a bad wipe job. Or the marks left on your windows of you don’t use Windex. Yes, that’s another classic I saw during my research! Hi, It makes me laugh to think of the Wrenshall Wrens. Since when are those little birds considered tough menacing mascots? Another mascot similar to the larks! As with most of the mascots there is a reason grand meadow chose the Super Lark and not the name Eagle which our mascot resembles. We were the Grand Meadow, Meadow Larks and unlike the other bird mascots ours became a “Super” Lark. You know… like mighty mouse. Should any of these mascots or names surprise us when they all come from the land of the Golden Gophers? The mighty little buck-toothed rodent. Gaaah. Lanesboro “Burros” doesn’t exactly strike fear in the hearts of opponents either…Go Burros! No points for imagination or creativity? I like unusual mascot names. Way more memorable that Cardinals, Bears, etc. It’s not the name that makes a team fierce. It’s the players. Agreed, it wasn’t a jab at the towns, schools, or players. Just a review of the funny or wimpy mascots around Minnesota. Not even an honorable mention for the Wabasso Rabbits? We got creamed by them for our Homecoming, and that was embarrasing. They weren’t even the dangerous Monty Python killer rabbits, just plain old rascally rabbits. 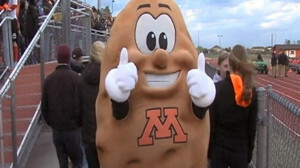 I’m a former Moorhead Spud too, and I thought it was quite novel. Now I live in a town that used to have the nickname Killowatts, because of the local dam. Our mascot used to be a lightning bolt, but everyone loved it. You didn’t go back far enough. I think Faribault were the Fairies in 1936 or earlier. AND……Blossoms are also on Cactus & Yucca plants, no one wants to mess with those plants. It was fun to read all the names though. GOOD WORK!! Faribault Fairies would have been number 1! Thanks for the comment! I disagree. Is there a rule they have to be fierce? I think of a mascot as something that represents you. If you can find wit and have some fun to do that, why not?! I supposed when you’re battling another rival or for a championship, you want to be fierce. What about the east grand forks “greenwave” !?!? No mention for the Proctor Rails? The mascot shows a train but the rail is the thing the train rides on! That would have been a great one too! Much like Jamestown ND’s “Highliners” – a reference to the highlight train bridges in town. I surely wish that the Granite Falls Kilowatts were still in existence. Best. Mascot. Ever. No kidding, they had a great logo to boot! Many years ago I too was a Spud and always enjoy folks reaction when I share it here in California. GO SPUDS!! We beat the Midgets of Fargo. North Dakota had some great mascots too. Magicians, Midgets, and Satans come to mind! Super late, but c’mon. Minneapolis’ Washburn Miller! Deserves the spot over the Teddies!! !